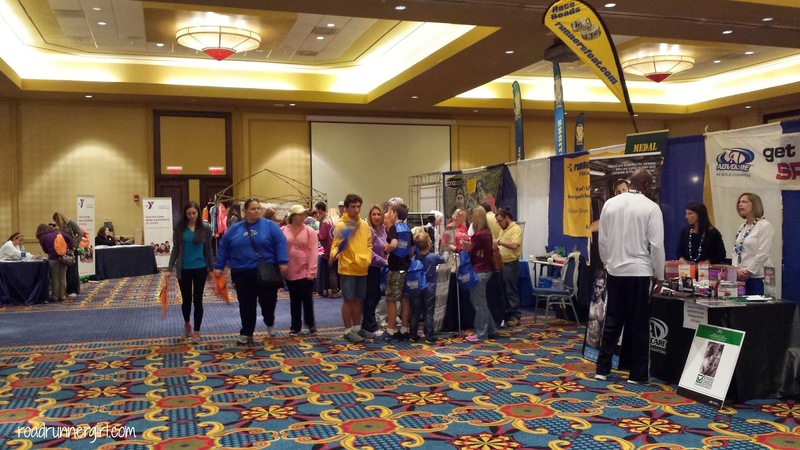 Road Runner Girl: The Biggest Loser RunWalk Half Marathon Mobile Expo! 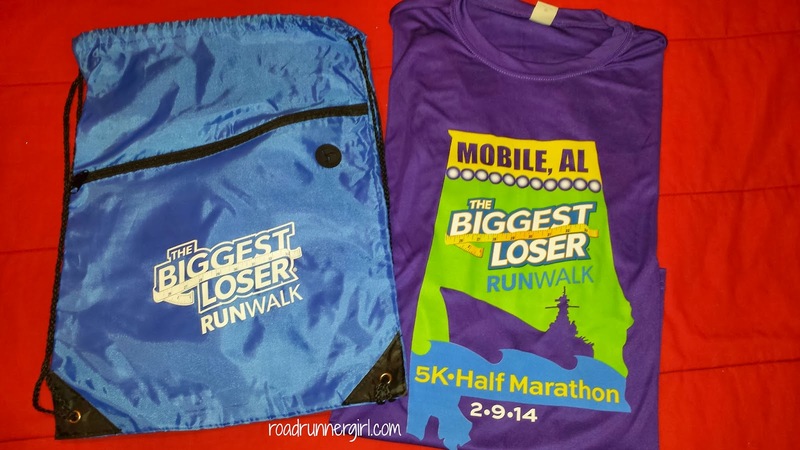 The Biggest Loser RunWalk Half Marathon Mobile Expo! After running The Biggest Loser RunWalk Half Marathon in Panama City Beach, I was super excited this race was coming where I live! My sweet hubby took me to the expo since I am horrible with finding parking downtown. 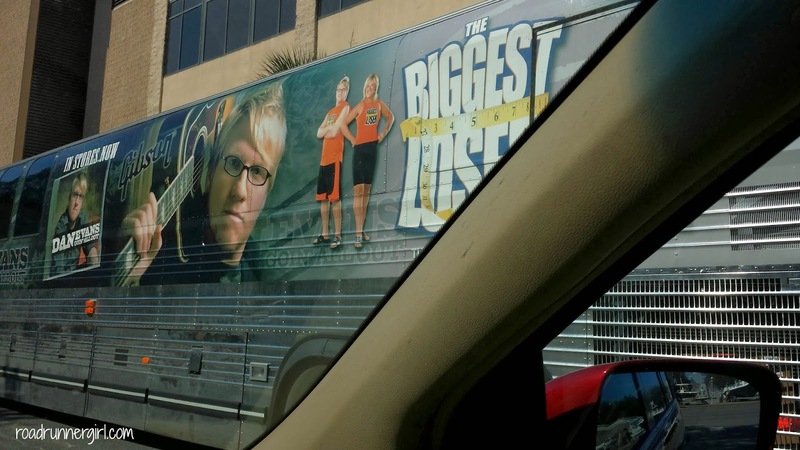 As we were waiting at a stop light to turn I could see The Biggest Loser bus! It made me even more excited! Once inside the hotel it was pretty easy to find the expo. There were signs everywhere pointing us in the right direction! Picking up my bib was really easy. There were no lines and I was able to easily find where I needed to go. With your bib you also get a really cute drawstring bag. I got an orange one in Panama City Beach so this time I chose a blue one. 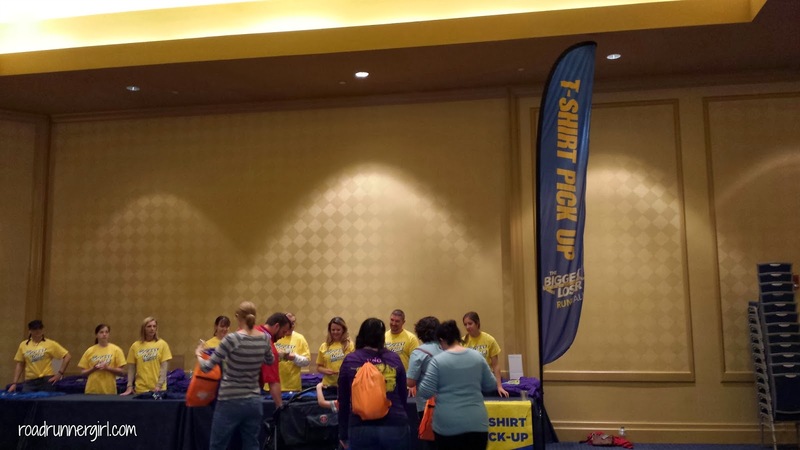 After getting your bib you walked through the vendor area and then there was the shirt pickup. I really love the shirts! They are purple and match the medal! I was disappointed in my shirt size though. I don't know if I registered wrong or what but they had women's sizes and I got a men's shirt and it is HUGE. I can't even wear it. I should have looked at it when I picked it up but I didn't until I got home. :-( So I'm sad that it's the cutest race shirt ever...and I can't even wear it. After grabbing my shirt I stopped for my obligatory expo picture with my race bib! I had a great background for this one! There were several vendors set up. 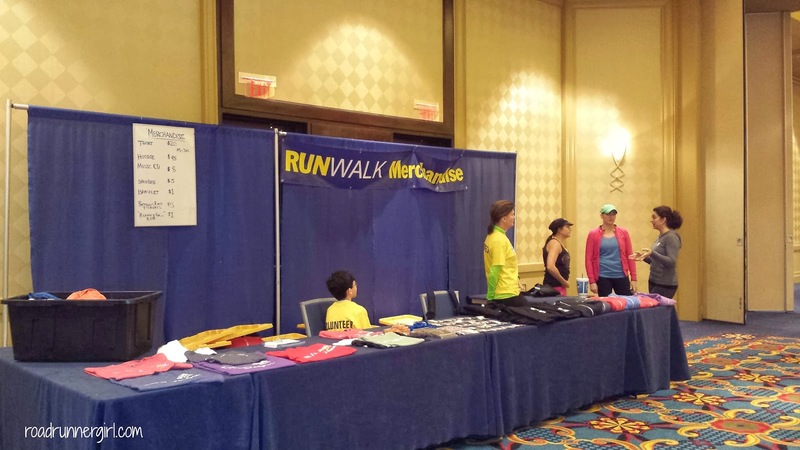 They also had a table where you could buy official Biggest Loser RunWalk merchandise. 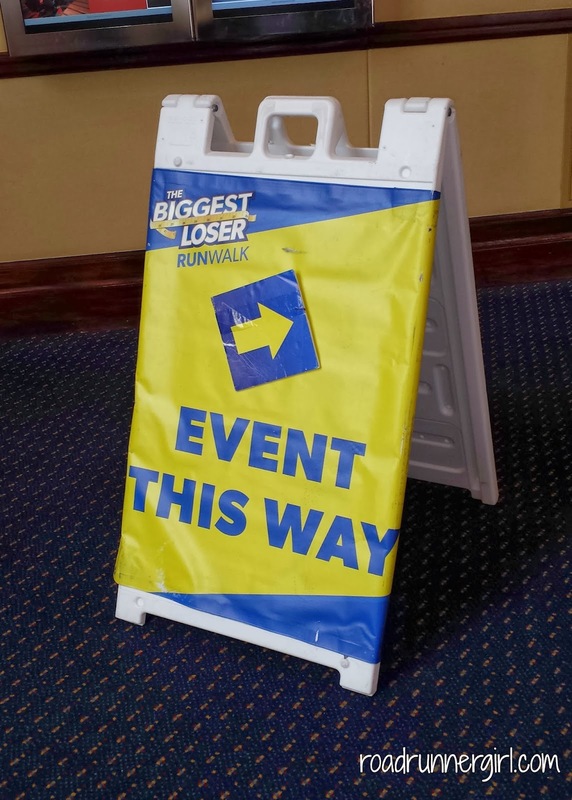 There was also a stage set up for guest speakers, including former Biggest Loser contestants. Unfortunately I wasn't there at the time when the former contestants were speaking like I was at the Panama City Beach Expo. But I knew I would see them at the race the next day. 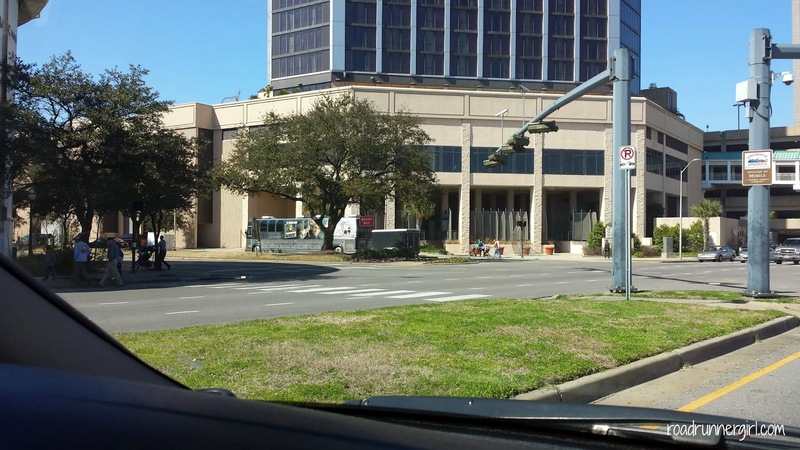 This expo was set up a lot like the one in Panama City Beach. It wasn't huge but it was still a fun experience! Like I stated earlier, the only downside for me was my shirt being way too big. From now on I will be sure to look at my shirt before I leave! 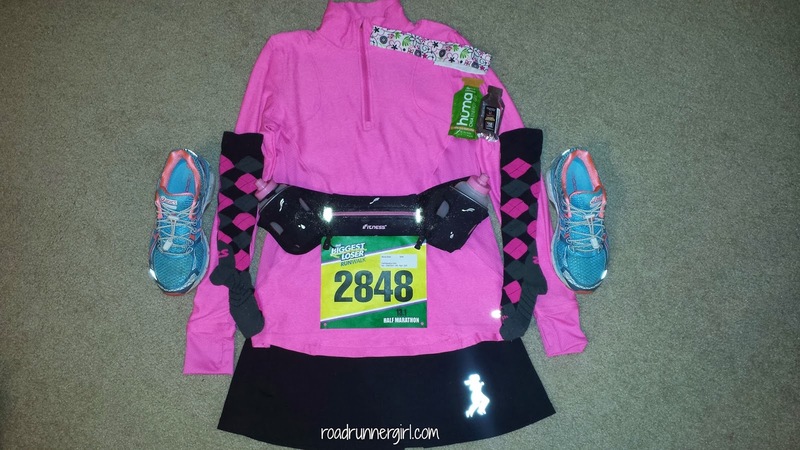 And just because you wouldn't know what to do if I didn't post this...here's my outfit for the race! 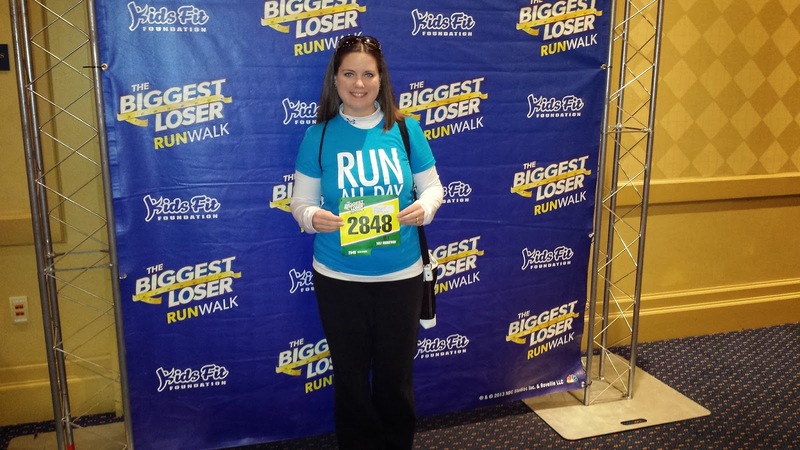 Stay tuned for my recap of The Biggest Loser RunWalk Half Marathon Mobile! 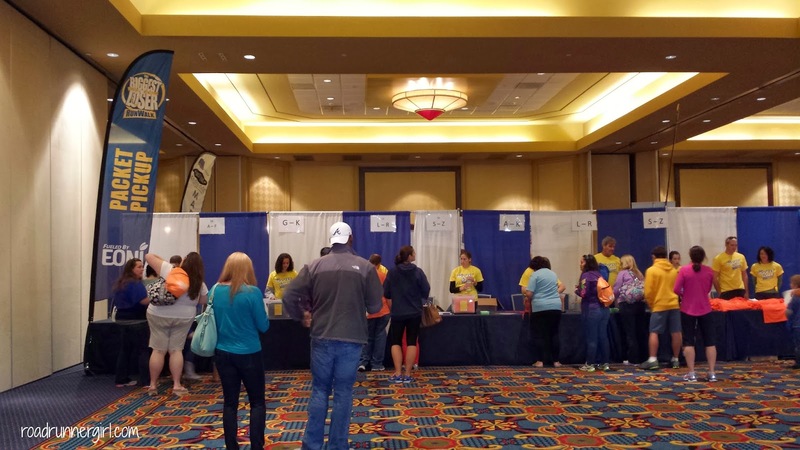 QOTD: Have you ever gotten the wrong race shirt size? Were you able to exchange it?